It’s busy bag time! 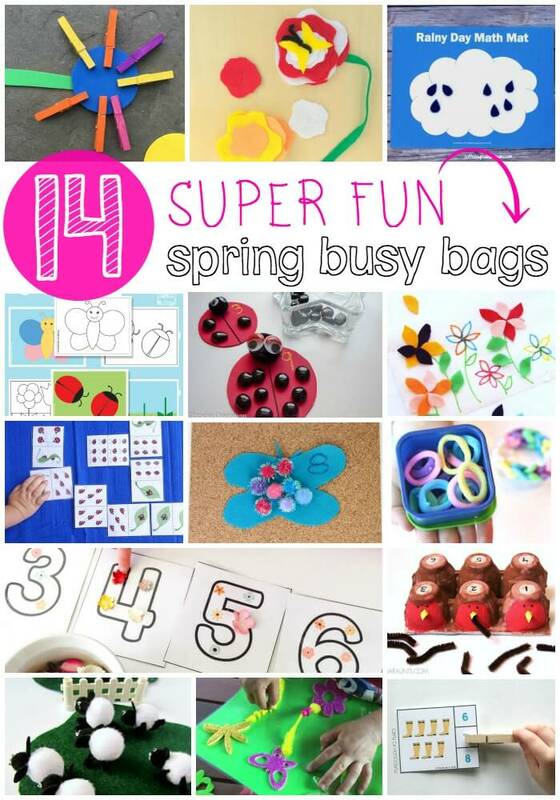 This moth the busy bag blog hop’s theme is spring and I’ve created these fun to play with spring play dough mats! (If you are curious – last month we did rainbow themed busy bags and they were all amazing). Whether you have a bunch of store bought or a batch of home made play dough playing with these maths will be fun! 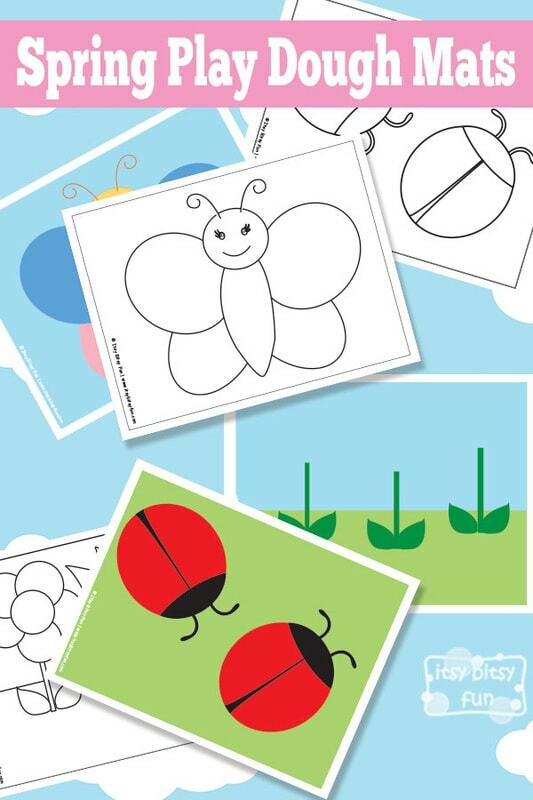 Your kids will be able to make their own creations over and over again (as they “should” be or as they wish them to be – I mean there’s no need to put black spots on the ladybug now is there?). 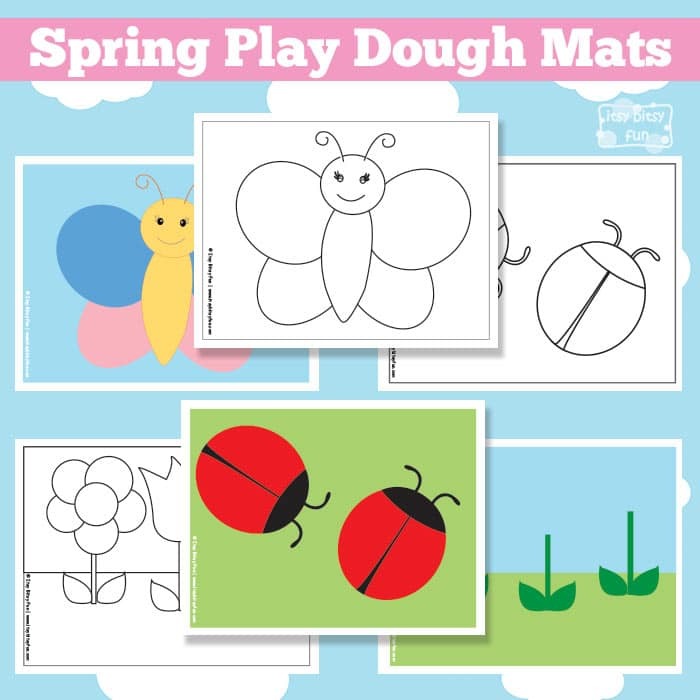 There are 6 different play dough mats for you to print (and laminate naturally). * Flowers missing their petals. * A butterfly waiting to get it’s colorful spots. * Black and white bugs waiting to be colored with play dough. * Black and white flowers. * Black and white butterfly.